It is possible to make this cocktail with frozen strawberries, I gave the instructions below. But if you can, take fresh ones. 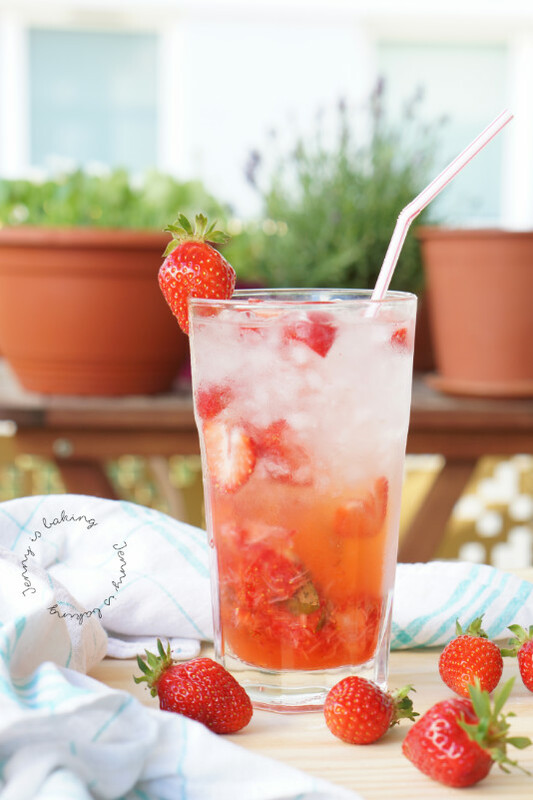 Cheers to this delicious strawberry mojito! 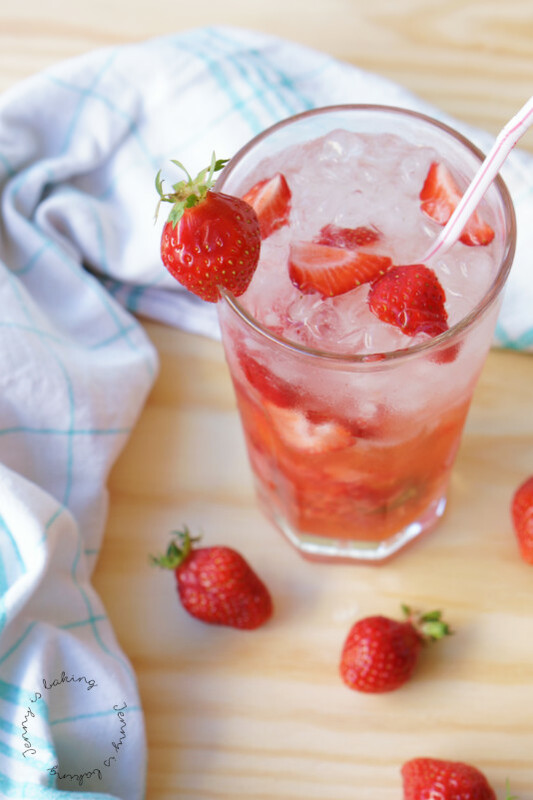 Put the mint and strawberries in a cocktail glass and gently mash them. If using frozen strawberries, don't thaw but only mash the mint leaves. Add the lime juice, syrup and rum and mix well. Fill with curshed ice as desired and pour water or sprite on top until full. 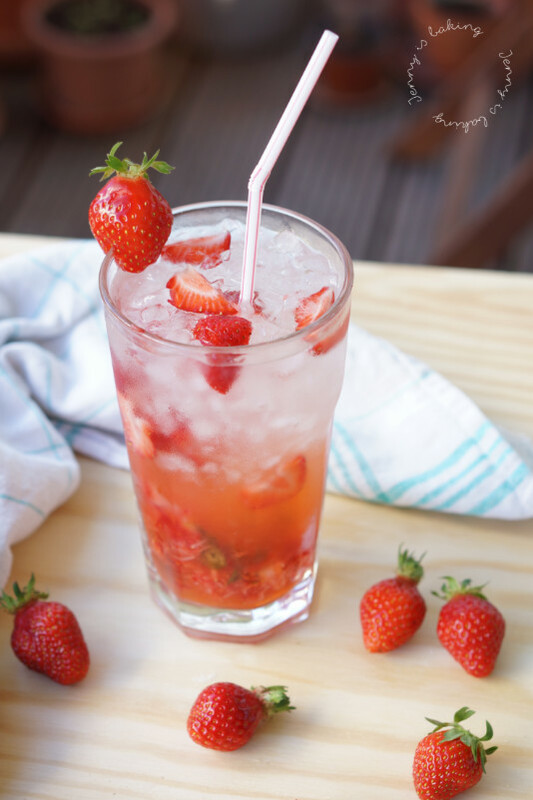 If using frozen strawberries, mix in a strong mixer that can deal with crushed ice.